What's cooking at the KDE Community Forums? In the past weeks and days, the KDE Community Forums staff has been working to bring new features to improve even more the user experience. A few months ago, the staff was discussing the idea of finding a way to guide users to the most appropriate forum to post their questions or discussions. Now, thanks also to the return in service of one of our admins (welcome back, sayakb!) the feature is now being implemented, as the screenshots below will show. Bear in mind that everything for now is running on a testing server, to make sure it doesn’t break anything. 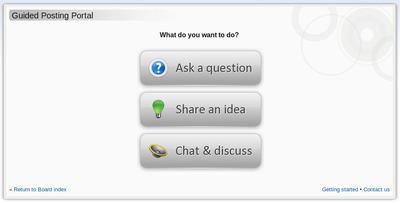 Once the tests and the implementation are complete, we’ll integrate the feature in the forums. How soon we are not sure, but it won’t be too long. 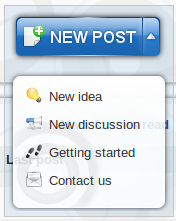 You’ll be able to select your favorite application and you’ll be able to post directly in the relevant forum. But that’s not all. Thanks to the hard work of Ben Cooksley (fellow admin and System Settings maintainer) there is also an implementation of the Open Collaboration Services (OCS), the same system that powers the well-known Get Hot New Stuff connected to OpenDesktop.org. This will mean, in principle, that you could access forum posts and discussions in a programmatic way, using a REST API. 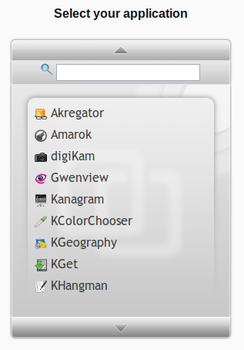 This opens up possibilities like Brainstorm plasmoids, other means to access the forum (like an Akonadi resource - there’s some ongoing work in KDE SVN). If you’re interested in testing the OCS for the forum (or if you want to develop some kind of application that ties to the forums themselves), let us know on IRC (#kde-forum on freenode).